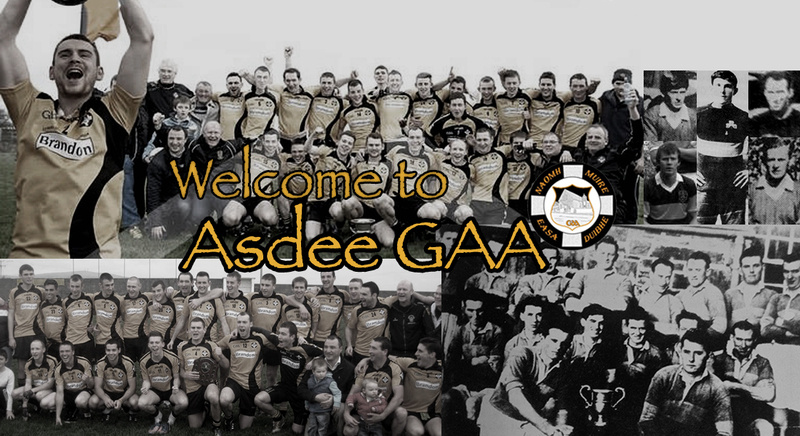 On Sunday, May 25th, the Asdee GAA club will officially open a new pitch and will name it the “Walsh Park”, a fitting honour to one of the best left full backs the game has known and whose prowess on the football field often led his team to victory, be it county, county championship or club level. Jack Walsh was born in 1903 in a countryside where the Gaelic spirit was very much alive. At that time a team known as “Craughdarrig Emmets” were among the best in North Kerry and had some great games with Listowel Independents. Jack was 6’ 2” tall and weighed 13 stone 7 pounds in his heyday. He received his early education at Asdee National School, and went to St. Michael’s College, Listowel. While there he showed great promise as a footballer and many who saw him play said he would yet wear the county colours. Very little football was played in Kerry during the early Twenties due to the Tan War and the Civil War. After playing a trial game in 1924 he was picked to play for Kerry and reached the final against Dublin. The final was not played until April 25th and Kerry won by a point. Jack Walsh is the holder of six All-Irelands, 4 National Leagues, 2 Railway Cup medals and toured the States with the Kerry team on 3 occasions in 1927, 1931 and 1933. His second All-Ireland win was against Kildare after a replay in 1926. In the drawn game Jack was centre half back and was marking Larry Stanley, a brilliant player who was champion of Ireland that time in the High Jump at 6’ 4”; they had some great duels. Kildare were the better team on the day and were leading by a goal with time almost up. Then Jack fielded a high ball around the half back line and kicked a ling ball upfield into the hands of Bill Gorman, who scored a famous goal to tie the scores. In the replay Jack was switched to left full back, as Jack Murphy, who played there in the drawn game, became very ill and the Craughdarrig man filled this position until he retired from intercounty football in 1934. Jack was a stalwart defender in Kerry’s four-in-a-row from ’29 to ’32, they were hot favourites to make it five-in-a-row in ’33 but a younger and fresher Cavan team brought an end to the great run in the semi-final. This was Jack’s last match with the county and the end of the great four-in-a-row team. He won Railway Cup medals with an all-Kerry selection in 1927 and in 1931, with 14 Kerrymen and one from Clare. He gave great leadership in his playing days; in 1934 he led a great Craughdarrig side to victory in the North Kerry championship, and was a tower of strength in the great Faha team of 1925, who were beaten by Moyvane after a replay in the North Kerry final. This game was known as the North Kerry All-Ireland. The one honour that eluded him was a county championship medal, though he played in two county finals, five if one counted replays. The first was in 1927, North Kerry against an all-Tralee selction. There were two drawn games in this final, Tralee won the third match. The second was in 1932 against Rock Street, the game ended in a draw and the Tralee side won the replay by a point. The North Kerry team of 1932 was surely one of the best football teams ever to lose a county final. They had star players in all the key positions, Jack at full back, Paud Sullivan at centre half, Johnny Walsh and Bob Stack at midfield, Jack Flavin on the forty and Con Brosnan at full forward. The remainder of the team were men of scarcely lesser quality, Roger Ahern, Vangy Hanlon and Tony Chute from Listowel and Mickey Buckley from Tarbert were all brilliant footballers, but good as they were they failed to break Tralee’s grip on the county title. Jack played his last county championship match with North Kerry against Tralee Mitchels in September 1938. He was then gone on in years and in the Kerryman the week after PF or Paddy Foley, the sports writer, referred to him as follows: “Walsh’s hands are as safe as ever but his great kick is nearly gone.” He was full back for North Kerry from 1925 to 1938. Jack played junior football with Craughdarrig in 1940 and played his last game in Beale in April 1941, close to the old schoolhouse where his father Thomas Walsh taught for 44 years. Thomas was a great athlete, he jumped 22 feet in the long jump at Listowel sports in the late 1890’s and also played football with the “Tullamore Ramblers” before coming to live in Craughdarrig at the beginning of the century. By the big Craughdarrig boy.